You've seen fighting game Marvel vs Capcom 3 in grainy trailers and even grainier magazine scans, but here for the first time is Marvel vs Capcom 3 as nature intended: in big screenshots, on the internet. There's nothing sneaky nor fancy about them. No hidden references to unrevealed characters or anything like that. 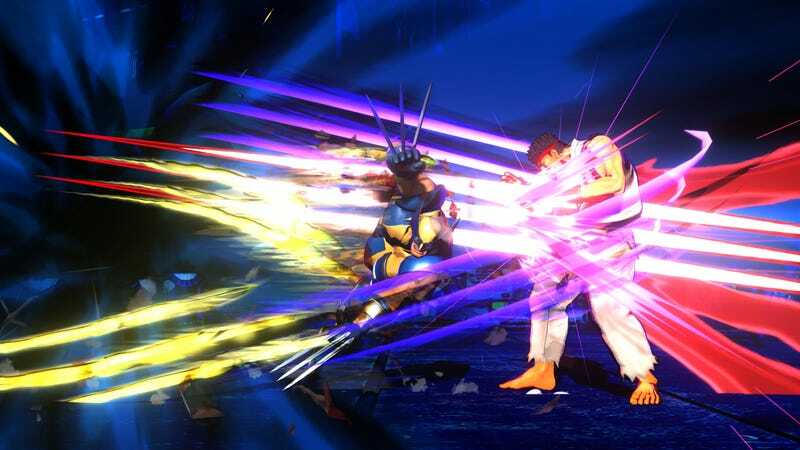 No, just some pictures of comic book characters kicking the crap out of Capcom's video game characters.